Enjoy an unforgettable day out in London with this unique experience featuring The View from The Shard and a three-course meal for two at one of Marco Pierre White's famous London Steakhouses. On entry to The Shard you'll ascend 800ft in a matter of seconds to reach the top of this spectacular skyscraper which is Western Europe’s tallest building. You’ll step onto an open viewing platform to enjoy one of the most incredible experiences in the country as you gaze out across 40 miles of the capital and beyond with powerful telescopes and fascinating multimedia displays to enhance your breathtaking 360-degree view. As part of this sensational experience, you’ll also be welcomed into one of award-winning chef Marco Pierre White’s London Steakhouse Co restaurants for a delicious three-course meal with a cocktail each. Sit back and relax as you peruse the mouth watering set menu, available for lunch or dinner, featuring a selection of tasty appetisers, high-quality steaks, roast meats, fish, and timeless puddings. 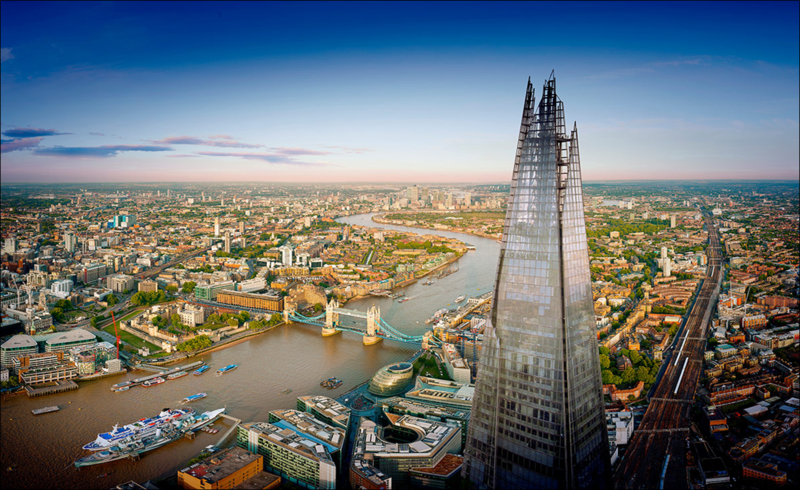 It’s up to you whether you visit The Shard before or after your meal and either way, you’re sure to enjoy a day out to remember with this magnificent experience for two.